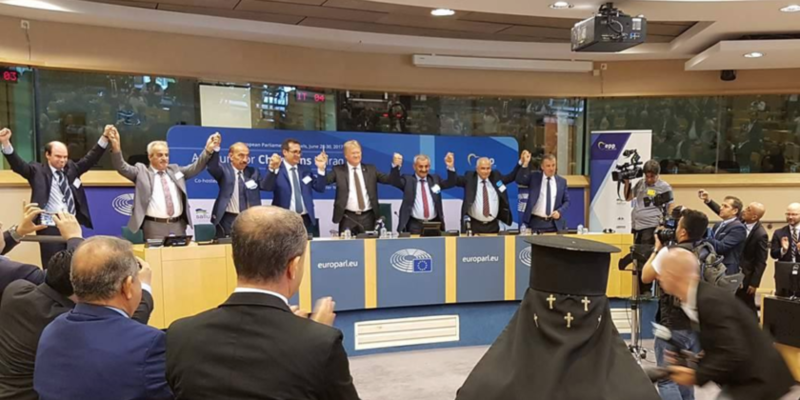 “More autonomy for Iraqi Christians in the Nineveh Plain” is the final message of a joint document approved by seven Chaldean, Syriac and Assyrian parties of Iraq after a two-days conference at the European Parliament on the “Future of Christians in Iraq” organised by the Swedish centre-right MEP Lars Adaktusson and co-organized among the others by Sallux, the foundation of the European Christian Political Movement (ECPM). “The conference has exceeded expectations. 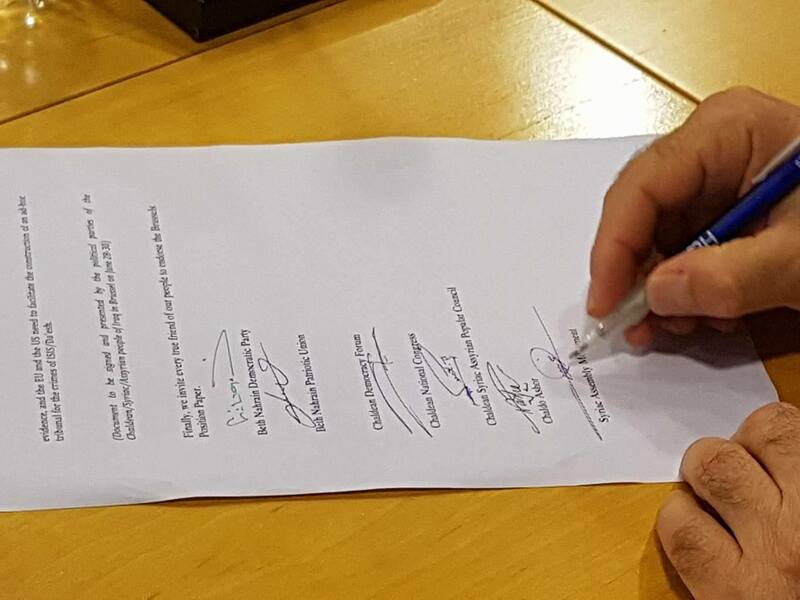 All participating parties co-signed a final document of historical importance,” says Adaktusson. “They have now agreed that the Nineveh Plain in the North of Iraq should become a province with a self-government within the framework of the Iraqi constitution. 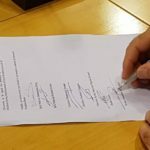 In the longer term, the goal is that the area should become a province, providing an even greater degree of autonomy,” continued the Swedish MEP. The conference’s main speakers included some of the highest religious and Church leaders of Iraq and Syria, Christians political parties, and prominent representatives of the Iraqi Central Government, as well as the Kurdish Regional Government, United States Congress, State Department and the European External Action Service. 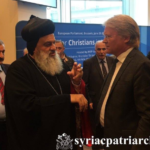 “Political correctness is killing us!” His Holiness Ignatius Aphrem II, Patriarch of Antioch, Syrian Orthodox Church said during the conference calling on the international community to listen to the Christians’ plea for help in the Middle East. 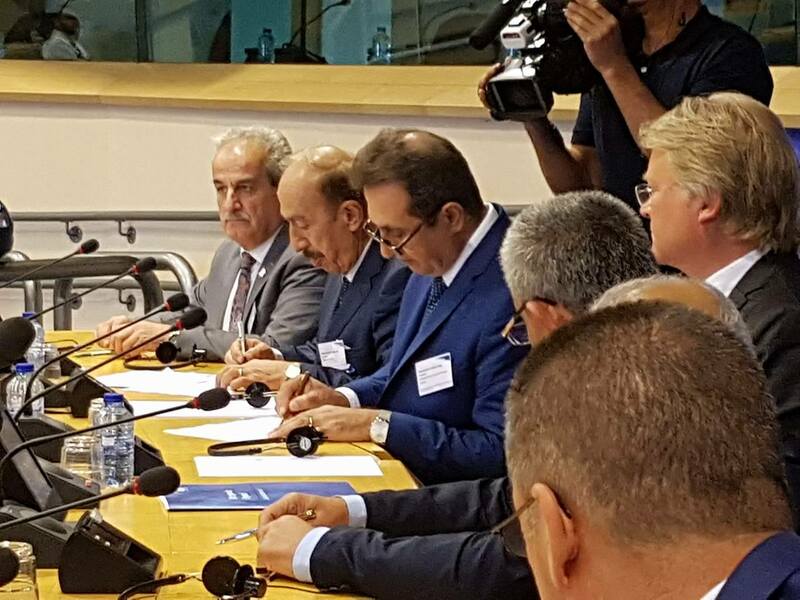 “This week, nearly 3 years since the ISIS invasion of the Nineveh Plain, we the parties representing the Chaldean/Assyrian/Syriac people in Iraq, along with our church leaders and NGO’s, have gathered in Brussels to find consensus on a unified policy representing the legitimate demands of our people to remain in our ancestral homeland,” Iraqi Christians parties which participated at the conference declared in a joint statement. “If there is to be any real hope for the rebuilding of the Nineveh Plain and the return of its people, it is imperative to unite the Nineveh Plain and to empower its governance as well as security. The best way to achieve this is a Governorate ultimately leading to an autonomous region,” the final declaration states. But not all Iraqi Christian parties participated at the event. The Assyrian Democratic Movement (ADM) boycotted the event. 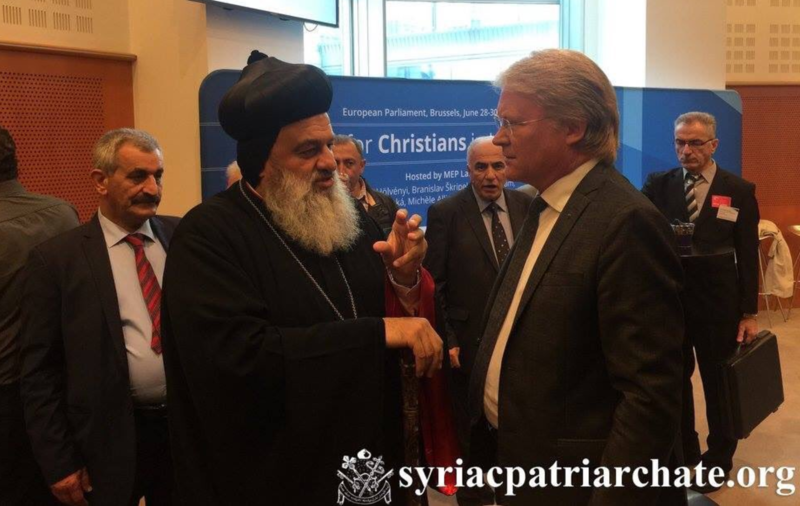 According to Kaldo Ramzi, spokesperson of the ADM, the conference was promoting ‘a partisan and sectarian agenda and did not reflect ADM’s desire for a unified representation of Chaldeans, Syriacs, and Assyrians as had been agreed in a meeting of Christian political parties on the 6th of March’. “Three of our political parties and two churches boycotted the event. 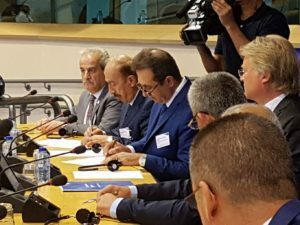 It is sad and ironic that a Chamber which represents the unified will of the diverse European people is being used to divide the unified will of the Chaldean Syriac Assyrian people and impose a foreign agenda on us,” said Ramzi.